The capital of feudal Vietnam for over a century, Hue still retains some of the royal character of its past today. In fact, it’s precisely that which draws tourists here: the palatial compounds of the old kings, the traditional fashions (the Vietnamese “ao dai” outfit actually originates here), the classical Vietnamese architecture, and the way even food is presented with exquisite care, as though it were still being served to princes and princesses of the realm. Seated on the banks of the Perfume River, the city becomes redolent with the aroma of a thousand flowers every fall. This comes from the flowers that drop into the water from orchards situated upriver, and it certainly lends itself well to the appeal of this once-royal city. The autumn tourist in Hue can thus enjoy a sweetly-scented trip, made only sweeter by the fact that the vast majority of the attractions in Hue are on or near the riverbanks. Imagine visiting the Imperial City, for instance, and seeing how the old Vietnamese royalty must have lived in all that perfumed splendor. Imagine passing through buildings as romantically named as The Hall of Supreme Harmony and gazing into the deep and still waters under the bridge at the Courtyard at Ngo Mon. Imagine visiting the tombs of the emperors along the river and marveling at these monuments they left behind as testament to their glory in life: see tombs that have their own lakes and pavilions, and which can be called complexes in their own right. Imagine seeing the vast temples of the city and staring out at the horizon from atop the Thien Mu Pagoda, all the while reveling in the fine perfumed breeze caressing your hair. Imagine soaking in sweet-smelling hot springs once you get tired, then retiring to your room with a repast (quite literally) fit for nobility. In Hue, these things are no longer imaginings but opportunities. Come to Hue and you can realize a hundred dreams of living like royalty, in perfumed courtyards and beside flower-strewn waters in what was once Vietnam’s capital city. 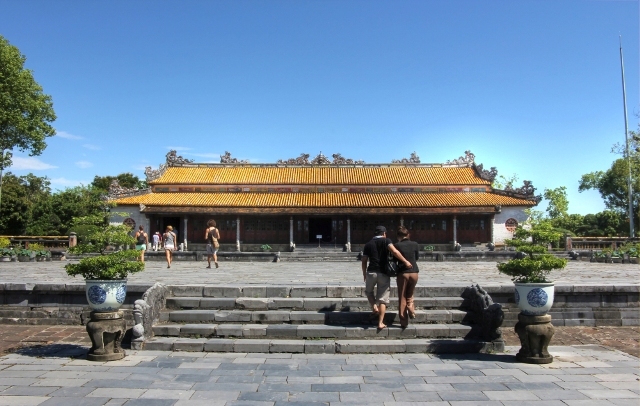 The Dai Noi or the Imperial City in Hue, is one of the must-see places in Vietnam. 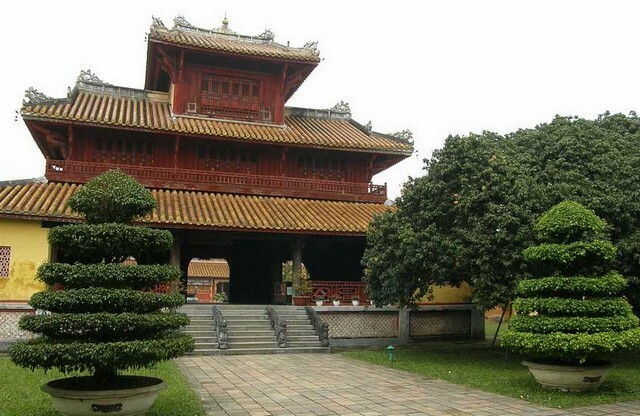 Located in Hue, the former capital of the country, it is where the Emperors during the Nguyen dynasty passed laws, exercised their controlling power and ruled the country. Having hundreds of wives and concubines sounds bizarre and out of this world especially in this date and time, and that is probably the reason why the Forbidden Purple City in Hue is one of the most visited places in Vietnam. In fact, even pictures of the forbidden city are enough to rouse interest in tourists. 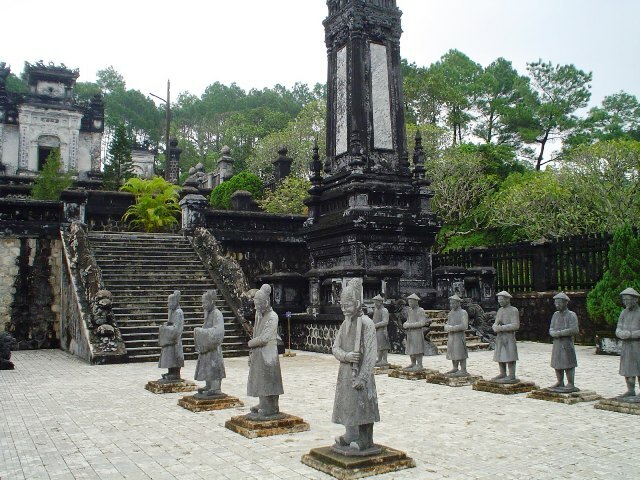 Among the popular destinations in Hue are the tombs of the Emperors. 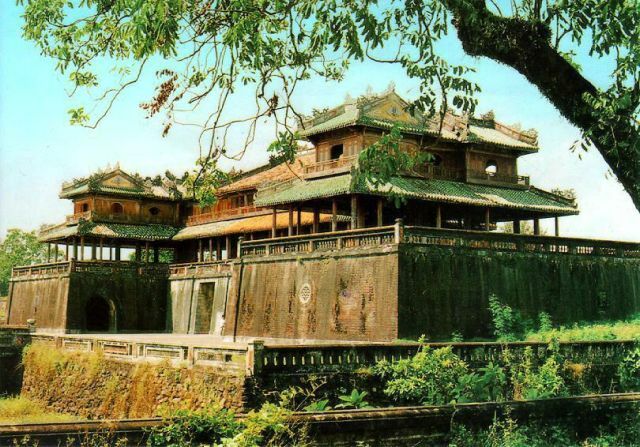 Hue was the seat of the government during the Nguyen dynasty and Vietnam was ruled from this historical city by thirteen Kings all in all. Of the thirteen Emperors, nine have tombs in seven Royal Tombs situated around the Imperial City Citadel. 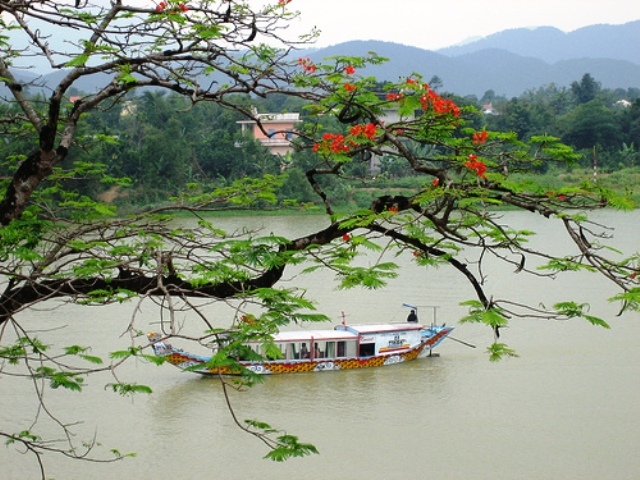 The Perfume River or the Huong River is a popular tourist destination in Hue. It is 30 kilometers long and found in the middle of two springs that both originate from the Truong Son Mountain: the Ta Trach on the left tributary and the Huu Trach from the right tributary. The Ta Trach runs North-West from the mountain through 55 waterfalls and slows down to Bang Lang Fork. The Huu Trach flows South-North from the mountain through 14 waterfalls and Tuan ferry until it reaches the Bang Lang Fork. The Bang Lang Fork where the two springs meet is where the Perfume River is formed. The Palace of Supreme Harmony or Thai Hoa Palace was built in 1805. 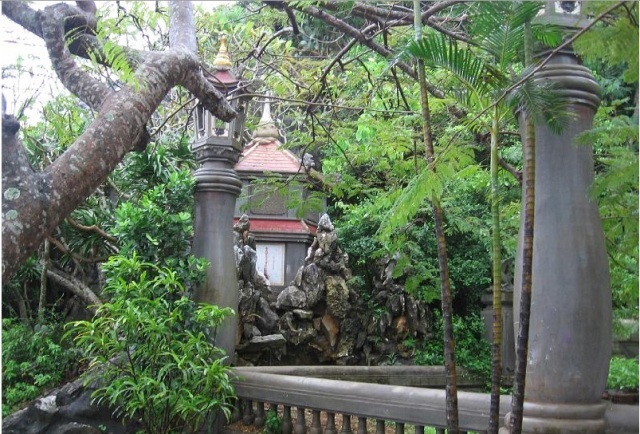 Also known as the Throne Palace, it was the backbone of the Emperor’s court during the Nguyen Dynasty’s period, where many decisions were made, where laws were passed and where many historical meetings and gatherings of the royal household, members of monasteries and monarch’s attendants were done. It was the most important structure of the royal palace and saw many official receptions, meetings, rituals and official ceremonies during its glorious days. Known countrywide to still be wearing Vietnam’s traditional clothes, speaking the traditional language and generally behaving in a traditional manner, the people of Hue are sticklers for-make a wild guess-tradition. Thus, when it comes to culture and the preservation of their heritage, it is not surprising that they place so much value in their garden houses.